A rare and highly original 1964 Porsche 904 GTS is an early highlight announced for the 2017 Bonhams Scottsdale classic car auction in Arizona, USA. A further highlight is a long nose, torque tube 1966 Ferrari 275 GTB offerd without reserve. Further consignments are still invited. What is considered by many to be one of the finest Porsche sports racers in history, the 904 is without a doubt also one of the most iconic cars of the mid-20th century. The 1964 Porsche 904 GTS to be offered by Bonhams is a rarity in that is boasts a solid, unblemished history and still retains its original body, engine and interior – attributes very seldom found these days. Delivered new to legendary Florida dealership Brumos Porsche, this car – number 98 of 106 – was put away after just a few races and then sold to a prominent Porsche collector in Europe where it’s remained for nearly 30 years. As the first Porsche to utilize a ladder chassis and fiberglass body, this pioneering model clinched a first overall at the Targa Florio, a first at Reims, five of the top ten GT placements at Le Mans, and class wins at Spa and Sebring, among others – all in its first year. With just over 100 produced in the course of two years, the 904 GTS as a model was not only tremendously successful but also very limited. To own one of these machines today is a privilege enjoyed by very few. And to own one as original and genuine as this is a rarity indeed. 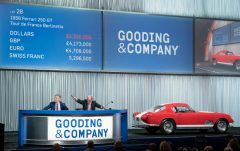 No estimate has been released, but two Porsche 904 GTS cars were sold two years ago for around $1.6 million before the recent increase in Porsche valuations took the markets by storm. Another standout sports car complimenting Bonhams’ early consignments for Scottdale 2017 is a 1966 Ferrari 275 GTB. 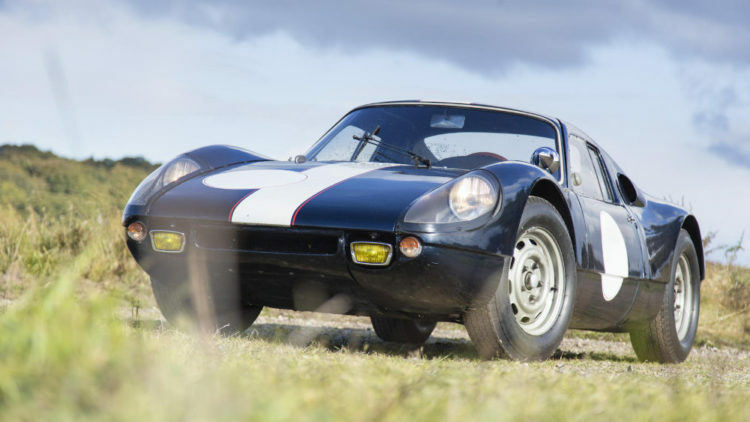 A desirable late production, long-nose example with torque tube driveline, it’s a low mileage car and is the beneficiary of a recent comprehensive restoration by renowned marque specialists Mototechnique. Presented in its factory delivered colors of silver over black, this alluring Italian masterwork has spent most of its life in the United States and is a class winner at the distinguished Cavallino Classic. Red Book-certified by Ferrari Classiche, it will be offered without reserve. Further highlight have since been announced: ex-Scuderia 1952 Ferrari 340 America Vignale Spider with Mille Miglia and Le Mans racing history and a 1963 Jaguar E-Type Lightweight Competition.